Total hip arthroplasty is an operation which involves the complete removal of the femoral head and neck, together with the acetabular bone. A prosthetic stem is implanted in the femur and an acetabular cup is implanted in the pelvis with the aim of restoring the joint. 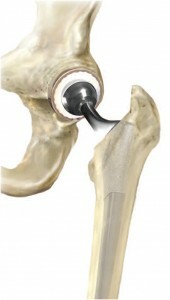 The femoral head is substituted by a ball which has a much smaller diameter than that of the patient’s original femoral head. Due to this difference in diameter, the results are not always good. After the operation, many patients are left with a difference in leg length and, again due to the reduced dimensions of the femoral head, there is a risk of dislocation. In addition, heavy work and sports are not allowed. 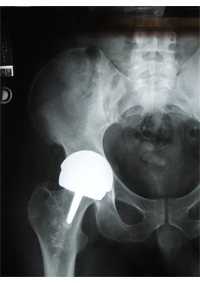 Although the duration of these implants has significantly improved in recent times, especially in young and/or active patients, a hip implant can progressively wear out and there may be the need for a further operation. Thanks to the development of new surgical concepts and the evolution of technology, a total hip prosthesis is not the only solution nowadays. A valid alternative is hip resurfacing. This operation consists of placing a metallic cup on the articulating surface of the pelvis and a metallic sphere on the femoral head, thus replacing only the worn out cartilage. This surgical procedure allows the preservation of both the femoral head and the femoral neck, which are completely removed during a total hip arthroplasty procedure. In addition, wear, which is the main cause of prosthesis failure, is minimum. This has important implications in terms of implant longevity. 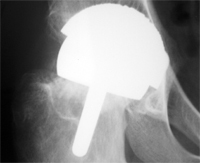 The results of hip resurfacing are superior compared to total hip replacement in terms of pain relief, recovery of function and longevity, especially in active patients. Patients return more quickly to a normal life and can even carry out sporting activities at a competitive level. Dislocation does not occur and a difference in leg length is not seen. In addition, if a further operation is required, a patient having had hip resurfacing surgery has the advantage of being in an analogous situation to a patient undergoing surgery for the first time. 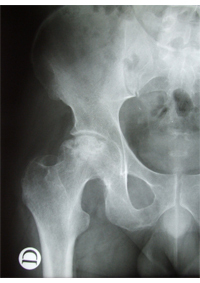 Hip resurfacing is particularly indicated in young people, but can be used in any patient as long as the bone is in good condition and the femoral head is sufficiently preserved. 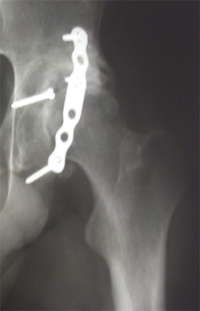 In patients with good but not optimum bone, a special femoral implant can be used which is fixed to the femoral neck. 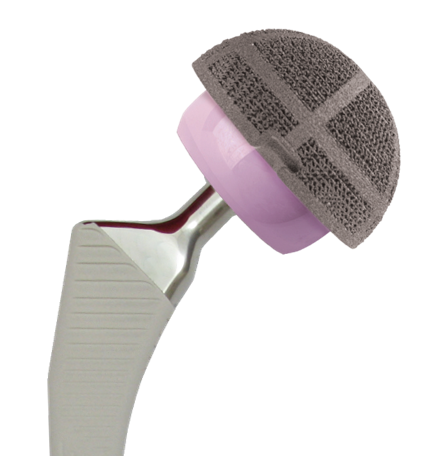 Prof. Moroni only uses two types of hip resurfacing implant: the BHR, manufactured by Smith and Nephew, and the Adept, originally manufactured by Finsbury and now distributed by MatOrtho. 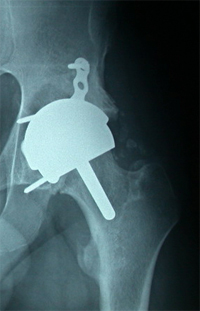 The technique of metal-on-metal hip resurfacing was developed in the 90s in Birmingham, UK by Dr. Derek McMinn who, after numerous years of study and research, introduced the BHR into clinical practice. Several years after the launch of the BHR, a similar implant, named the Adept, was developed by the same engineers who produced the BHR. The BHR and the Adept have an analogous design, are manufactured using the same technology, have the same clearance and surface finishing and both guarantee optimal performance in vivo, with extremely low wear if the operation is performed well. Indeed, wear of the resurfacing implants is so low that it is possible to recommence heavy work activities and all kinds of sports with no risk to the duration of the implant, something which is not possible with traditional total hip arthroplasty. Due to the success of the BHR at the end of the 90s and the beginning of the 00s, several orthopaedic companies, both in the USA and in Europe, copied the design of the BHR and Adept, thus producing their own resurfacing implants. Unfortunately, due to the lack of knowledge regarding the manufacturing characteristics, biomaterials and tribology of the original implants, negative results were obtained, with high levels of revision surgery occurring due to implant wear and metallosis caused by an excessive production of metal ions. Unlike the original implants which have low wear, the copies wear out. An important example of the problems associated with the copies is illustrated by the ASR implant. 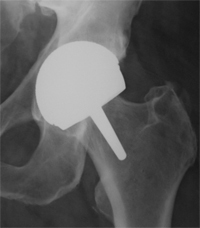 This implant was used for both hip resurfacing surgery and for total hip arthroplasty. Due to the particularly negative results obtained, the manufacturers De Puy J&J withdrew it from the market. The hip resurfacing experts were not surprised when the popular Italian television programme “Striscia la Notizia” revealed the problems of the defective ASR prostheses to millions of Italians. The problem had actually come to light a long time before, as it was discussed back in 2010 in the New York Times. However, the negative results obtained with the copies do not change the optimum results obtained for more than 13 years with the original implants. It is therefore wrong to scare patients by reporting problems associated with the wear of the copies because these problems do not occur with the original implants. 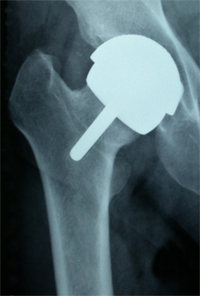 In addition, patients are often not told that prosthetic hip and knee operations in which metals are not used do not exist and that numerous studies show that after resurfacing surgery with an original implant, the levels of chromium and cobalt in the blood do not differ from those in patients operated on using traditional prostheses. Fortunately, many copies have been removed from the market and recently, the excellent results which can be obtained with resurfacing have been confirmed. The results obtained by Dr. Derek McMinn from the first 140 patients operated on more than 13 years ago have proven to be excellent in 98% of the cases. Analogous results have been reported for Prof. Moroni’s case series, which consists of more than 1,500 patients. 98% of his patients conduct a normal life, and many can practise impact sports such as the marathon, football, tennis and horse-riding. These results are not obtained with traditional hip prostheses, whose implantation involves a much more invasive type of surgery, with resectioning of the femoral head. In addition, the correct hip anatomy is not achieved. 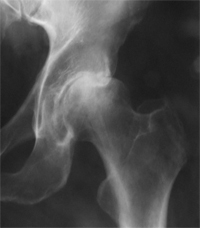 In order to obtain good results, it is necessary to be seen by an expert in hip resurfacing surgery. Indeed, it is a very difficult surgical technique to perform, difficult to learn and requires a high level of surgical precision. Only a few surgeons are able to carry out the operation safely and with reproducible results. 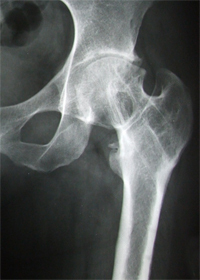 There are patients who have suffered from previous pathologies such as congenital hip dysplasia, Perthes disease, femoral head necrosis, epiphysiolysis or fractures in which the femoral head was seriously compromised. 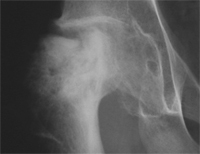 In such patients, it is impossible to carry out hip resurfacing with the standard technique because there is not enough bone in the femoral head. Thanks to a new surgical technique created by Professor Moroni, today it is possible to treat many of these patients with hip resurfacing. 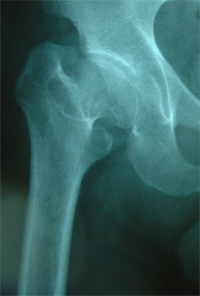 The technique entails lengthening the femoral head. Using specialised surgical instruments it is possible to harvest bone from the pelvis, compact it and implant it onto the patient’s femoral head. In this way, the femoral head is lengthened and the correct length is achieved, thereby allowing the head to be resurfaced. In these cases, the number of days of post-operative partial weight-bearing is longer than in standard cases. Crutches are generally used for 8 weeks instead of 4. 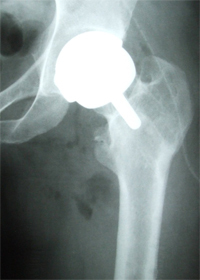 In patients with serious deformities of the femoral head or with mechanically weak bone, it is possible to use an intermediate technique: hybrid hip resurfacing. In this case, the prosthetic femoral head is assembled onto a prosthetic femoral stem which is much smaller than the stems used traditionally. As in standard hip resurfacing, the correct femoral head diameter is maintained, thereby eliminating the risk of dislocation, optimizing the functional results and drastically reducing wear of the prosthesis. Approximately 12% of the population is allergic to nickel, while 5% is allergic to cobalt or chromium. Even if a person has a cutaneous allergic reaction to metals, it does not necessarily mean that he/she will have problems with an endoprosthesis made from stainless steel or a cobalt-chromium alloy – indeed, so far there is no clinical evidence to support this. However, for potentially allergic patients, alternative materials exist.